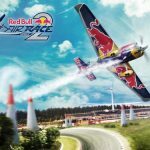 Bike Unchained is Red Bull’s entry to the mobile game space, and it’s now available as a free download for Android and iOS devices alike. 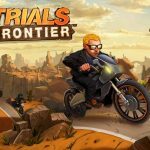 In this exciting new game you get to travel – no, make that shred – through sweet trails, collect bikes, build up a crew, and even make it to the mountains as you ride against the game’s antagonists, Team Praedor. The bike trails in here combine Enduro, Downhill, and Slopestyle mountain biking, and you can get to do a whole lot of tricks and stunts apart from the usual biking. You’ll get to do all that in 60 tracks located in three real-world locations, namely Whistler, the Alps, and Japan. 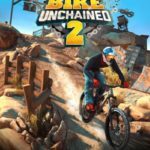 That’s a quick look at the game and what you can expect, but when it comes to actually riding your bike and performing creditably (or better), what you’ll need to check out are our compilation of Bike Unchained tips, tricks and hints. Look at the green lines on the track, as these will be your aids in determining whether you should flow or let go. The most obvious way to go about this would be to flow when you’re on a downhill slope, and to let go when there are inclines or anything that suggests you’ll be going up. Timing is very important in this game, especially when it comes to your flowing technique. Aside from timing being very important, performing tricks is another thing you’ll need to perfect in Bike Unchained. Your adrenaline meter, after all, rises with each aerial trick that you do. And once you’re at max adrenaline, you can significantly improve your bike’s speed and jumping. Even when you don’t see any full ramps, keep doing those tricks as often as possible. And as a bonus tip, be sure you’ve pressed the flow button right before you land – this will allow you to hit the ground smoother without sacrificing your speed. At the start of the race, you’ll have to keep tapping on the flow button so you can get some momentum going. But it’s also possible to do this the moment you see an incline. Don’t wait until your biker has made it up the hill; keep tapping the flow button so that your biker can pedal faster and make it up the incline quicker than you normally would, or quicker than it would be if you waited. This is it as far as our Bike Unchained tips, tricks and cheats are concerned. 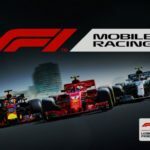 Have you come across any other tips for the game? If so, don’t hesitate to share them with us, fellow Bike Unchained players.